Try the ultimate dinner experience in Paris! 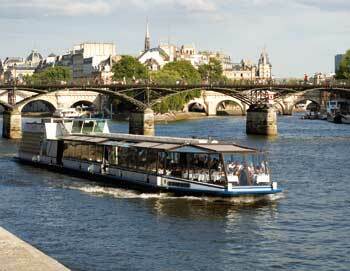 This VIP dinner cruise is one of our best-selling tours, and that's not without reason. 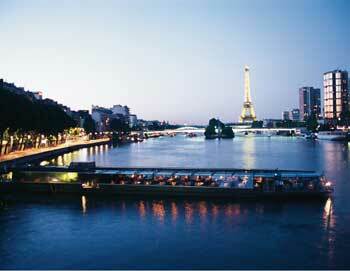 Watch the lights sparkle as the sun sets over Paris and enjoy a delicious meal accompanied by a high level of service. Advance reservations are required - book yours today! 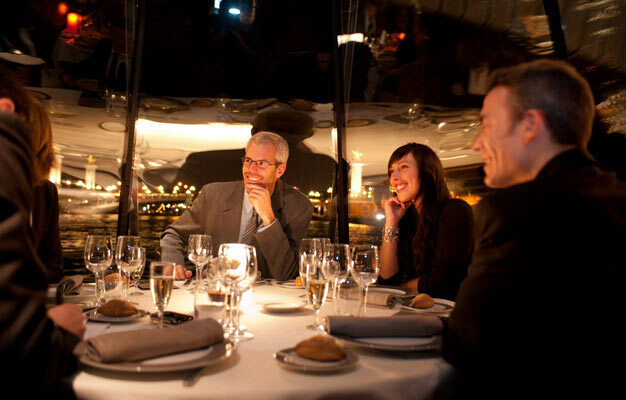 On board the VIP dinner cruise you'll be served a delicious á la carte menu consisting of a cocktail, starter, main course, dessert, water, coffee, and selected wines. 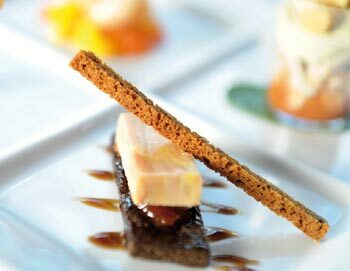 All the food is meticulously prepared on board to ensure fresh, delicious meals every night. Service Etoile: Seats with panoramic views, three-course dinner, selected wines, water and coffee. Elégance: Seats close to the windows, three-course dinner, selected wines, water and coffee. Privilège: Window seats, three-course dinner, selected wines, water and coffee. View the Dinner and Wine menu. You can see the Christmas and New Year’s Eve menus here. Soon after your booking has been completed your e-ticket will be sent directly to your email address entered at the time of booking. Please print it out and bring it with you on your cruise. The tour starts at dock no. 7 by the foot of the Eiffel Tower at Bateaux Parisiens. Please arrive 15-20 minutes before departure. How long is the the tour? The tour runs two and a half hours. No, smoking is not permitted on any of the boats. Yes, children's rates are available for children under age 13. 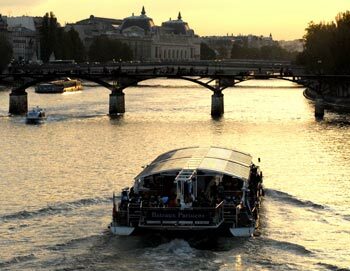 Please be at Bateaux Parisiens, located at the foot of the Eiffel Tower no later than 8:15pm. The boat departs 8:30pm and duration is 2½ hour.